Hello and welcome to Inso's World on New Year's Eve. Seeing as it has been Christmas week, I can safely say that I have done very little, other than to make merry and enjoy the festive period with family and friends. I have shared a wonderful year with so many people and have made a host of new friends in our new home, in Cornwall. Yes, there have been sad times and times where a challenge has been placed before me... and before my family as well but I would like to think that we have treated those challenges with the contempt and respect that they deserved and have powered through. I am looking forward to spending New Year's Eve in the company of friends and family and will greet midnight with a mix of happiness and reflection but after a year of such massive upheaval and change, I know that I can face 2018 with a positive attitude and a will to make a difference. 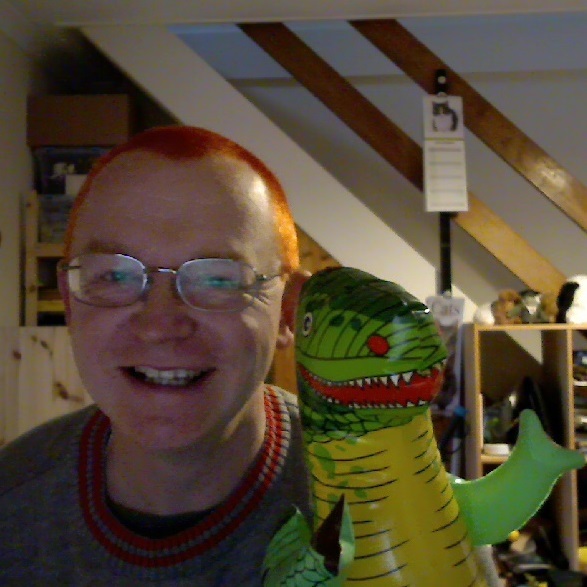 In January, I am joining my son in going dry for a charitable cause. He has a friend who is hoping to collect enough money to take his daughter to America for life changing treatment so any money we raise, will be going to them. I will be tying up the loose ends of Dad's inheritance as soon as I can. By Summer, I hope to have the windows in the house replaced and be planning (at the very least) to have a new kitchen. Once I have a job, I can plan my charitable activities but this year will definitely see me running to Land's End for Marie Curie (even if my shoulder is still misbehaving). 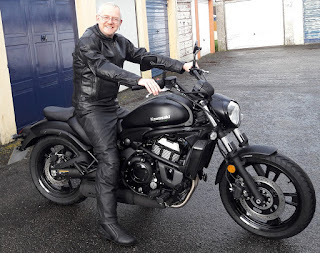 Then, of course, I have all my hobby activities to be getting on with and also my bike to be riding... so even without too much planning, I can see 2018 being the next step on the ladder to getting more routine into my life and properly settling here with a little more security than I have had this year. With the new year in mind, I would like to extend my best wishes and greatest hopes to you all, for a healthy and prosperous 2018. See you from the chair next to the sofa! 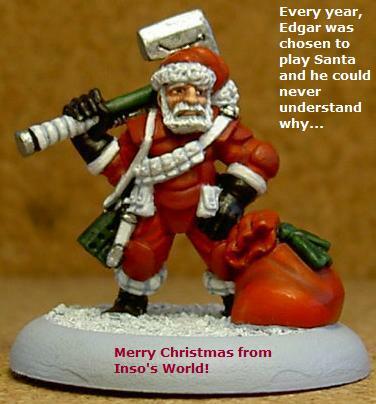 Hello again and welcome to Inso's World on Christmas eve 2017. I thought I'd take a few moments to reflect on, what can be considered, a pivotal year of my life. The start of the big adventure was getting a mortgage and moving into our own home, just before Christmas last year. At first we were sitting on deck-chairs and sleeping on an air bed... but thanks to some wonderful people who worked super hard, all our furniture was built and arrived before Christmas. 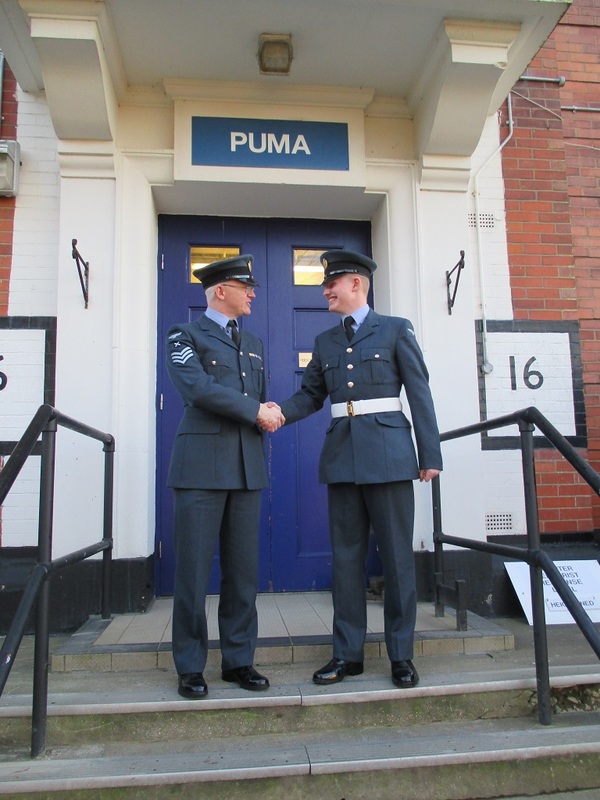 The reason for the move was because I had put my notice in and my 28 years of military service, in the Royal Air Force, came to an end in January so we needed to have somewhere to live. 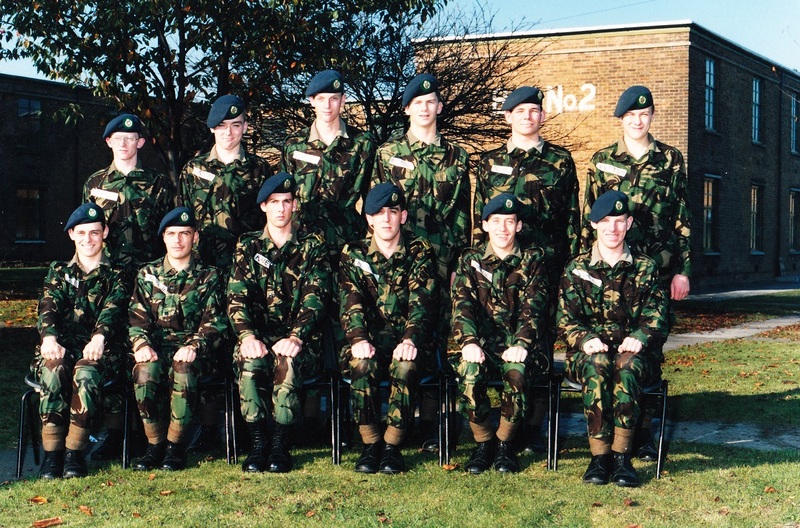 Click the Pic... and spot a very young Inso on his basic training in 1988! I had a great career and was very proud when my son joined up to carry on in the service I was leaving behind. Having lived in Cornwall before, it was a very simple choice for us to move here permanently and it was exactly the right choice. Unfortunately, the house was a bit of a fixer-upper and it still needs lots of work but it was definitely a case of location over serviceability. 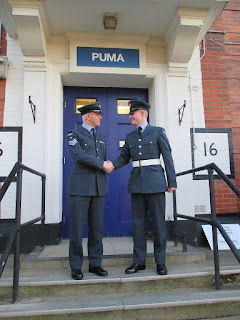 Fortunately, my RAF pension has meant that I could have time away from work to sort a few things out and as a result, I have been jobless since we moved... which has been a bit of a blessing because my father became very poorly and needed regular visits. Sadly, this escalated to finding out that he had terminal cancer and he passed away on 1st October. As an executor to his will, I was also needed to deal with his funeral, flat clearance and estate so it was good that I didn't have to deal with an employer while going through this time. As the year ticked over, we have had builders in to fix the roof on the porch and garage, replace the house guttering and replace our bathroom. I have built shelving, repaired banisters, fitted new fixtures and dealt with all those little things that keep failing or falling off. My next job is to build a walk in wardrobe for my wife so that will be started pretty soon... then it will be windows and kitchen replacement... so a long way to go yet. During that time, we also had our daughter staying with us for a couple of months and she has now found a place locally where she is close to work and is living with some good friends. From a personal health point of view, it hasn't been a bad year. 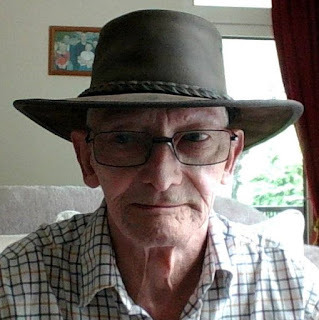 I have put on a little weight (which I am enjoying) and have had a complete lack of any ailments apart from a frozen shoulder... which has affected my good arm and restricts its movement so I have to think about how I do things a bit more. It's sore but it's with me for a year or so... so I will have to just work round it. Apart from that... all is good. Click the Pic for a big grin! From a hobby perspective, I could have been busier but I guess we can't have everything. 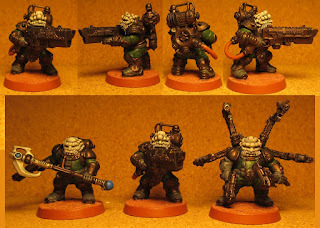 I have continued work on my Squat army and have even started painting a few. I have started a new little army of Demiurg and have even finished a commission or two. 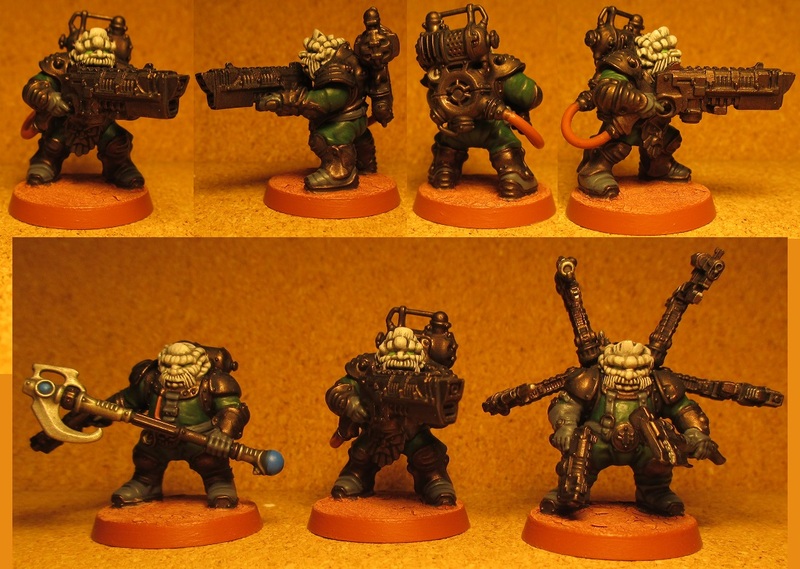 Add to that my little foray into getting some miniatures cast up for sale and it hasn't been too bad. 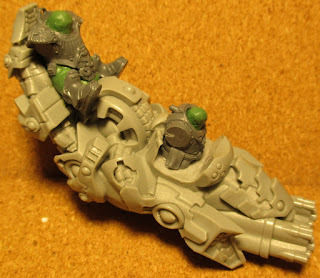 As it stands, I have sold 24 sets of Halfling snipers and all of the Exo Armour legs... so not bad, I guess. If anyone wants any of the Halfling Snipers, you can find them HERE. All of what I have spoken about, has been shared with my lovely wife. She has been my rock over the year... when I have needed direction, she has pointed me in the right direction. When I have needed help and support, she has been there to lend a shoulder or an ear. When I have been 'interesting', she has sat back and left me to it. She has worked very hard in her job and has been the reason that I have been able to go the year without work. Next year, this will change because I think that if I remain jobless for too much longer, I may become feral! With all my rambling, I only have one thing to do and that is to wish everyone a Merry Christmas and a Happy New Year. I particularly extend my best wishes towards all those servicemen and women who won't be at home over the festive period. Stay safe, find happiness where you can and get home soon. It'll soon be 2018... I am hoping that next year will be equally as varied but a little bit less stressful. We can all wish, can't we? See you from the dinner table! This week, I have just been pottering about and not really getting very much done. Hobby-wise, I have started to add some plasticard to the 'big-truck' and it is at a very early stage... but it is big... there is definitely going to be a presence if it ever reaches the tabletop. I have started to paint the next three (they were roughly base-coated when they were packed away a year ago so I am now tidying them up, ready for the wash stage) and have also found the other six battle suits that I had clipped off their sprues and bagged up individually, ready for cleaning and assembly; if I am not in the mood for painting this week, I will clean them up and assemble them. The commander and the next three squad leaders are also sat on the hobby mat and have had their 'head domes' built up ready for the next phase of sculpting so I have got everything covered, depending on whether I have my painting, sculpting or 'no motivation' head on. With Christmas getting closer, it is likely to mean preparations and shopping will take up a certain amount of my time so I can't say what this week will lead to although, I plan on getting some bike miles in at some point. There is also the small matter of physiotherapy on my shoulder... this may end up being detrimental to my plans (depending on what happens) so I guess that it will be a wait and see week. I guess 'short but sweet' was the theme of today's post. See you from the set! Hello and welcome to Inso's World again. I know it has been another fortnight gap but I have been embroiled in house painting and, to be brutally honest, it isn't something I have enjoyed very much due to my shoulder being crook... so it is probably best that I haven't posted. So... the bathroom is in working order, has a layer of paint on it and has been re-furnished. There are a few areas that need a bit of touching-up but for now, job's a good 'un. My shoulder has had an X-ray and I am currently waiting for physiotherapy but unfortunately, normal painkillers aren't helping but stronger ones work. That means that I either put up with the pain or drug myself up and can't do anything. At the moment, I am drugged up and am not in any pain... so if this blog post goes wonky, you'll know why. The image shows the body of one of THESE and the guy at the back will be the army commander, with the guy at the front being the driver. I need to build up a front and rear console, sculpt new heads, add some arms and then finish it off with the legs that came with the kit. It will fit in nicely with the Ghar battle-suits that I am using for drones. In more Demiurg news, I have started to convert the truck that I bought the other day and have added the first basic shapes for the superstructure out of plasticard. There is a long way to go but I reckon it shouldn't be too long before I have something that I can show off... assuming that I get some time to work on it. I haven't had too much opportunity to get out and about on it but I have put 60 miles on it and it is an absolute joy to be back in the saddle again. See you from the highways and byways!